“Paul’s Boots,” a 36-minute film, will be featured alongside 10 other environmentally focused productions at Evanston’s presentation of the Wild and Scenic Film Festival. The films are split between two dates, Friday and Feb. 24. On Friday, audiences will be able to take in breathtaking mountain views and run with herds of wild caribou — all from the comfort of north Evanston. The annual Wild and Scenic Film Festival will be held at the Evanston Ecology Center on Feb. 10 and Feb. 24. Organized by the South Yuba River Citizens League, the national festival’s home is California, but it also goes on tour to different locations throughout the country. This local stop, co-presented by the Evanston Environmental Association and Evanston, has been an annual event since 2012. The proceeds from the festival benefit the Ecology Center, EEA vice president Jim Chilsen said. Tickets for both of this year’s dates have sold out. Each night of the festival features about 90 minutes of film focusing on nature and environmental activism. Chilsen said it was a difficult task to trim down the full original list of dozens of selections to the 11 films for the Evanston location. Chilsen said the EEA usually selects shorter films so a variety of topics can be considered. However, each night this year will also include one longer “featured” film that goes more in depth about one subject. The first night will feature “Paul’s Boots,” created by Seattle-based creative agency Duct Tape Then Beer (DTTB). 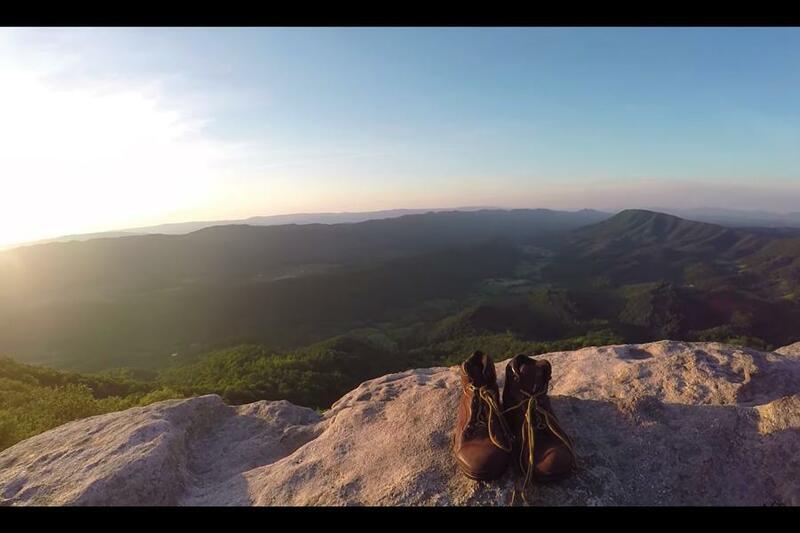 The film documents the journey of hikers who trekked the Appalachian Trail carrying boots left by Paul Evans, who passed away from a heart condition before achieving his dream of hiking the trail himself. Becca Cahall, the producer of “Paul’s Boots” and chief executive officer of DTTB, said the project originated when Evans’ widow called the company and asked if the company could help publicize her request for hikers to carry Paul’s boots. After broadcasting her message on their podcast, “The Dirtbag Diaries,” DTTB received scores of letters from people who wanted to help. Over four months, three pairs of Paul’s boots were handed off between hikers along the 2,189 miles of the Appalachian Trail. The boots eventually reached Mt. Katahdin in Maine, the northernmost point of the trail. For the second night of the festival, the featured film is “The Elwha Undammed: What’s a River For?” This documentary follows the six-year process of removing a century-old dam from the Elwha River in Washington’s Olympic National Park. Co-producer and writer Jeff Gersh said the project became personal for him as he built relationships with the Klallam people who live in the area. Though the film partially focuses on the actual mechanics of the massive engineering project, it also brings up broad questions of a river’s purpose in the context of economy and culture, Gersh said. Chilsen agreed that this human angle is essential to the nature-centric film festival. This year, Evanston’s festival will incorporate a moment of silence to remember Berta Cáceres, an environmental activist in Honduras who was killed while protesting against a dam being built. Though it can be depressing to hear these stories, Chilsen said, he hopes the remembrance will also inspire activism. He said the overarching goal for the festival is to encourage people to find ways to take action in their communities.